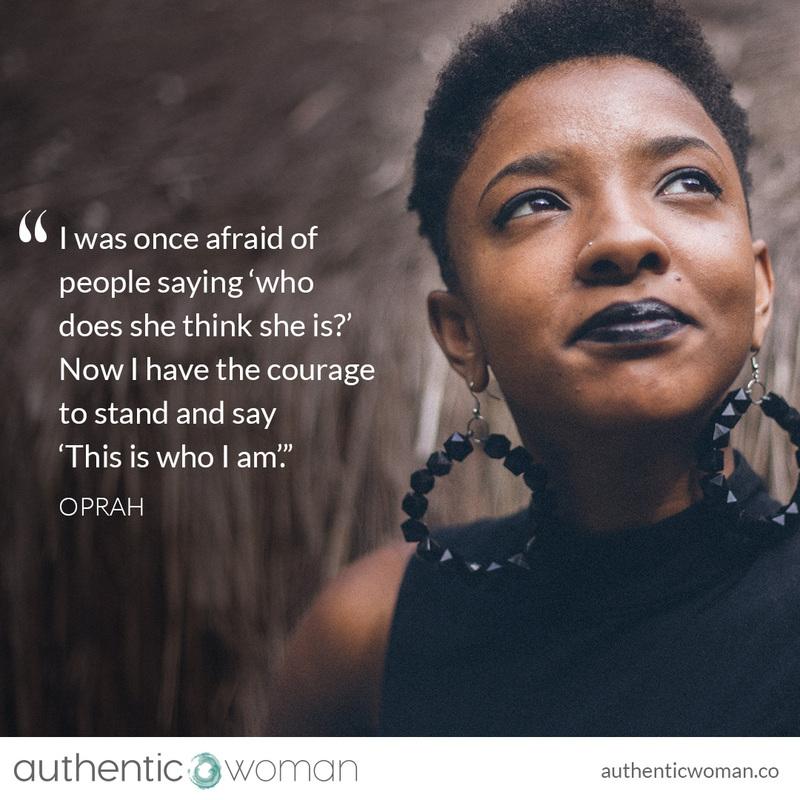 It’s interesting, I came across this fabulous quote by Oprah a couple of months ago and decided not to write to it at the time. If I am really honest with myself, and you, I didn’t write to it because I still fear this. I suspect it is one of my greatest fears. Don’t get me wrong, many of my friends (& my partner & son!) would tell you I am often very clear about my views and opinions. That I do speak up. And part of that is true. I have come a long way in finding my voice. A long way from being the chronic perfectionist and people pleaser that I was. A long way from hiding behind many masks. A long way from fearing my own voice, my own truth (which I hid from myself for so very long). But it is still there for me too. We are about to start doing video posts and while it is one thing for me to share myself, very vulnerably at times, with you in writing, it is another all together to start doing video posts. To start really putting myself out there. To go ‘unplugged’. To be seen and heard. To speak my truth. 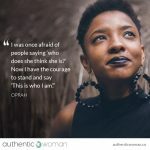 I can feel the fear, the resistance to, as Brene Brown so beautifully calls it, stepping fully into the arena. And yet that is my commitment to myself this year. 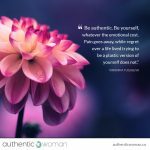 To take yet another step forward on this journey to being a truly authentic woman. To speaking my truth. And that is the rally cry I heard in Oprah’s recent speech. She is practicing what she preaches in this quote isn’t she! 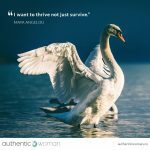 “A new day is dawning” and I am incredibly grateful that the Authentic Woman Program to know yourself, care for yourself and be yourself has empowered me with the tools & practices to actively join this movement that is happening all over the world. Because while there is no question that things need to change on the outside #timesup, the patterns and messages from this old culture, that we are going to tear down, are already inside of me, in my conditioning, in my behaviours, in the subtle ways I can silence myself. So, the real change has to happen within me. Within all of us. So we can rise up and create this new day together. 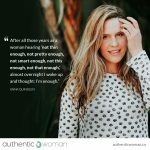 To support you to truly be who you are, we’ve created a unique online training course – The Authentic Woman Program to Know Yourself, Care for Yourself and Be Yourself. 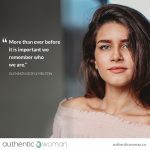 It’s for women looking for inspiration, motivation and a step-by-step path for change towards more inner confidence, calm and connection. To thrive. For a limited time, when you buy one Program, we will give you another one free to share with a girlfriend.